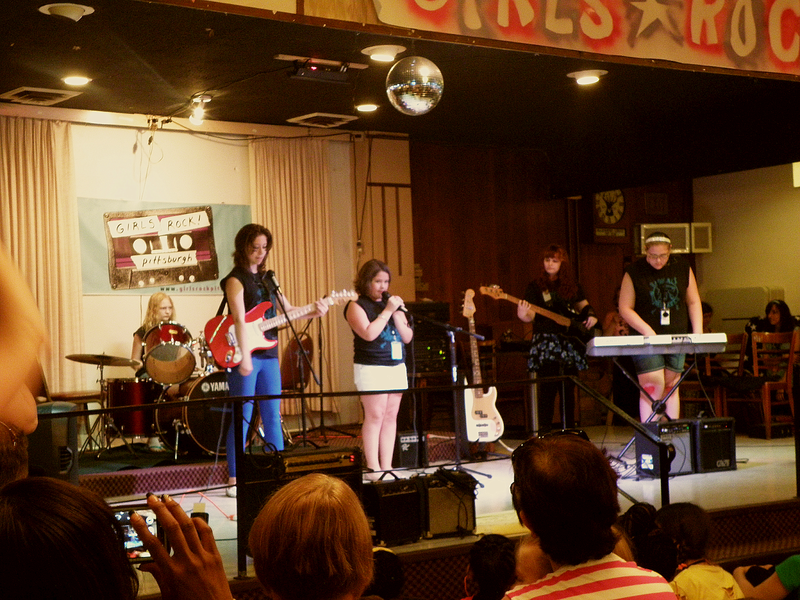 The first 2014 Girls Rock! Showcase was on June 28th. I missed the last one because I got there on punk time, but I made it to this. 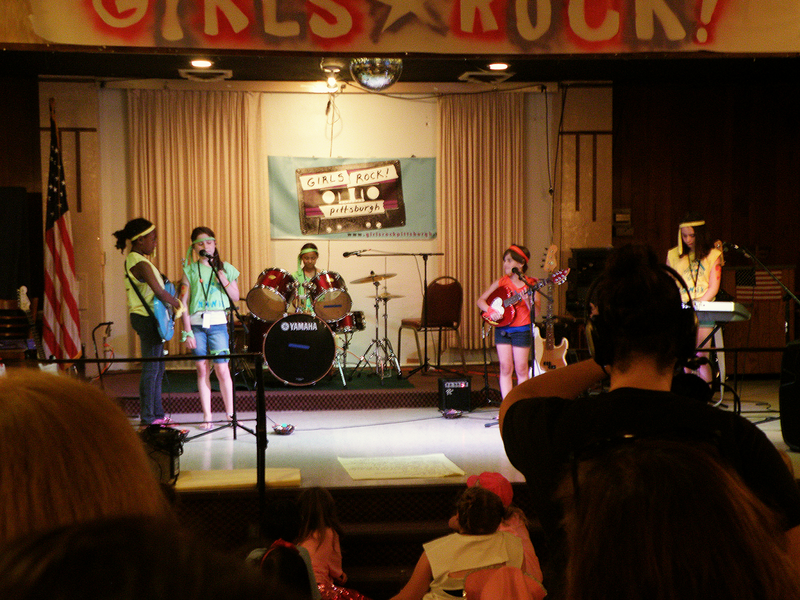 Girls Rock! 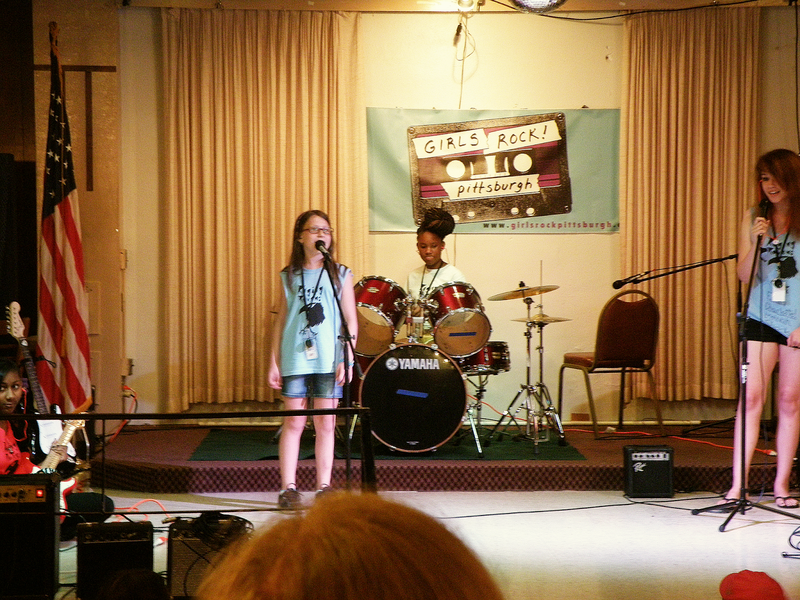 is a one-week camp where girls aged 8-18 learn to play instruments, make zines, write songs, and other such things. It took place at the Northside Elks Lodge. I had never been to the Elks Lodge before, but after entering it was what I expected, sort of a school auditorium filled with parents with a huge bar on one side. There was a line around the bar for free pizza. I ended up getting a few different vegan slices (from Spak Bros.) and I got a weird bingo ticket from one of those machines (and didn't win anything). Near the bar there was all kinds of Girls Rock! merch: tote bags, t-shirts, the 2013 CD, and shirts for each band that the members had screened themselves. A booth for Wolfepack Goods was also there. On the opposite wall was a raffle with items like free admission to a few different museums, a gift card to Soundcat Records, and an origami tree. I bought an arm's length of tickets for $5 and put in for a few things, mostly Soundcat, but didn't win anything. 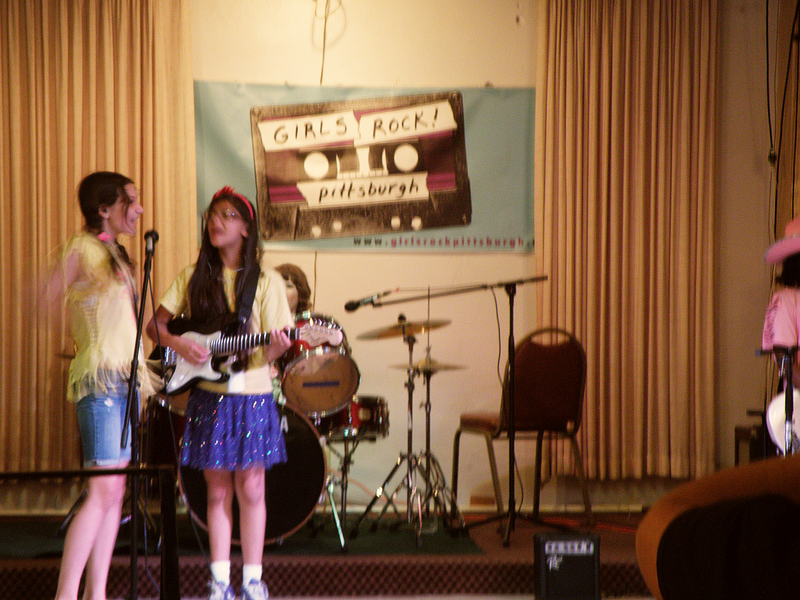 Before the bands started there was a big speech about what Girls Rock! meant, how it operated, and what things the girls had learned. The crowd was really excited as the first band got onto the stage. I was surprised to see that the bands each included members of vastly different ages. Before each band the announcer read the girls' bios, which often included facts about being royalty or being related to Amy Lee from Evanescence. 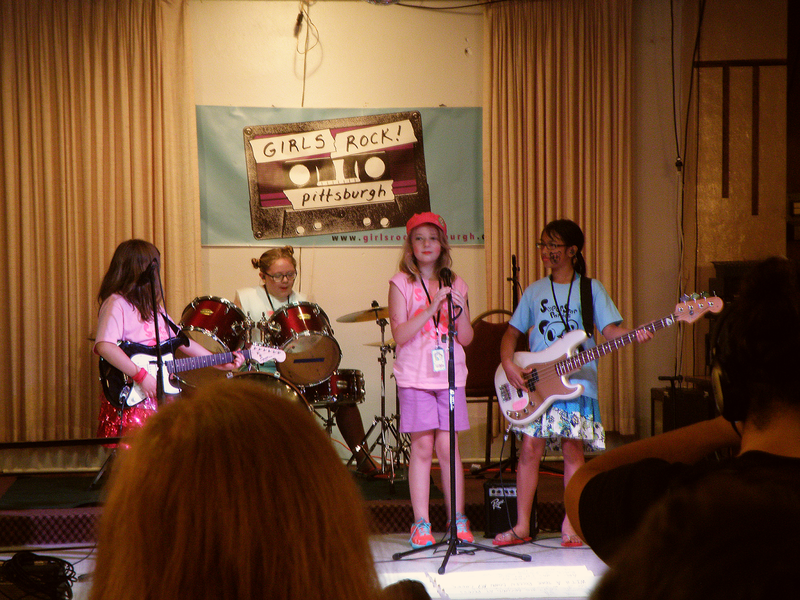 The bands sounded sort of no-wave, but with elements of pop, punk, and pop-punk. 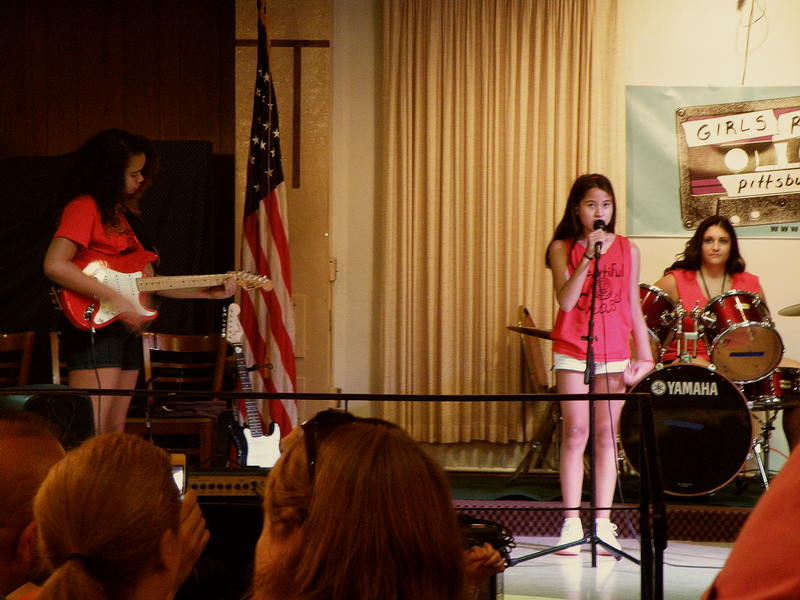 The last band was super cute, color-coordinated, and played a poppy, Beach Boys-esque song. I hope the August showcase will be just as exciting to see to see.